"I don't know what to write!" Every writer - no matter what the age - has moments like this. Coming up with topics to write about can be hard - and the younger you are, the more difficult it can be. I have a great story I use to inspire my students when they have writer's block. It's called Lost for Words, by Natalie Russell. In this story Tapir is having trouble coming up with something to write about. All his friends write so easily. From poems to stories to songs, Tapir finds that each of his friends has something to write about - why can't he? Finally, Tapir stops focusing so much on his problem and just enjoys the moment. This leads to a beautiful picture of his friends, filled with just as much emotion as any story or song. Tapir learns that words are no the only way to express your thoughts. Tapir's problem can be used to teach young writers an important lessons. 1. Find the kind of writing that is best for you. Everyone is good at something, and the same goes for writing. As we explore different writing genres throughout the year, I always have students who excel more at one particular genre. I make sure to point this out to students. All writers are different, and what works for one writer may not work for another. The world of writing is huge! We need to take the time to explore it with our students and give them the opportunity to write in a variety of ways. 2. Pictures are a kind of writing. For our emerging writers, this is the place to start. Drawing pictures is a powerful way to share experiences. Students will often add details to pictures that they don't include in their actual writing, even as they get older. Pictures lend themselves to oral storytelling - a precursor to actual writing. Students who can successfully TELL their story as they talk about the pictures have more success when they WRITE their stories. 3. Pictures are just as important as the text. In a picture book, the illustrations work WITH the text. They serve to expand and highlight what the author says. As books become more text based, the pictures switch to inside our heads. "Making a movie" as we read is our way of making the story come to life. 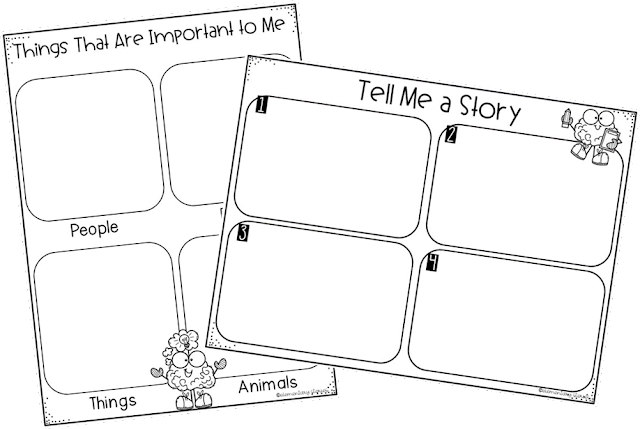 I created a few graphic organizers to help your students record ideas they could write about. Click on the image below to download them for free. 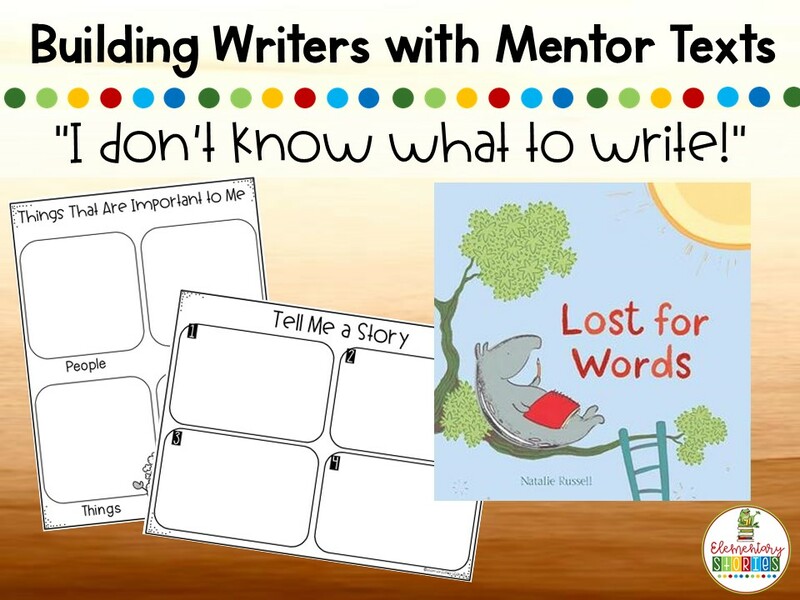 This is a great book to use K-3 to help your students get past that "I don't know what to write about!" stage. Want to win a copy? You can enter using the Rafflecopter below. The giveaway runs until March 4 at 12:00 am. I'll mail to book to the winner. 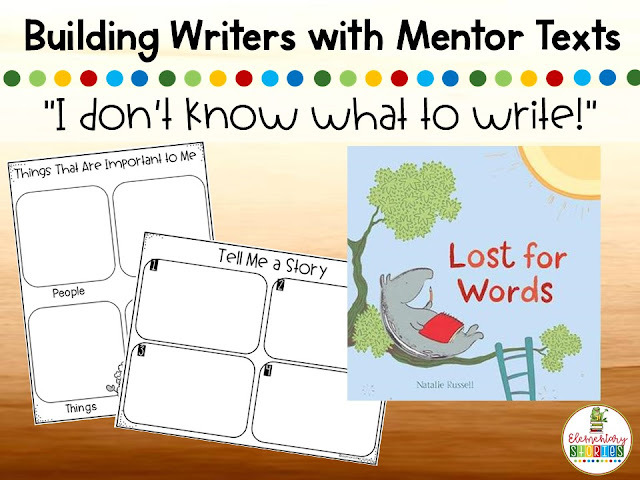 You can visit other literacy bloggers to find even more ideas for writing mentor texts. Click on the links below for more ideas, freebies and book giveaways! I have never heard of this book before! I LOVE that it features a Tapir! How fun is that! Fingers crossed that I win! :) Thanks so much for the freebie too! 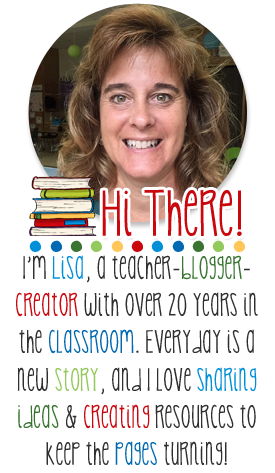 I can't wait to use this with my kiddos! I love the fact that the book features such an unusual animal as a main character! Thank you so much for sharing. I love all of these books and ideas The Reading Crew is sharing.